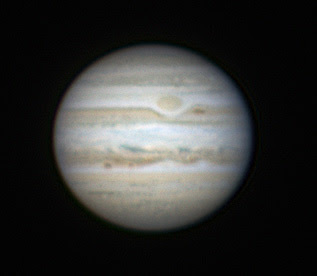 From the Vault; here's a Jupiter image I took last year and didn't end up processing it until this week. I'll probably start imaging Jupiter again this Fall. It'll be higher in the sky this year and the pics should turn out less fuzzy.